No one was more surprised than I when I signed up to take a class last spring from the University of Idaho Extension office to become a Master Food Preserver. Friends and family know I haven’t gardened, canned, or preserved food since the mid-1980’s when I canned peaches in August in a house without air conditioning. After that, I decided store bought was good enough. As for cooking, my family joked about dinner being ready when they smelled smoke or heard the smoke alarm. Our church received an ELCA Domestic Hunger Grant to support volunteers to take a 6 day course that prepared us to be Food Safety Advisors (Master Food Preservers) with the U of I Extension program. I’d been retired for 2 years after 40 years of full time employment, mostly with the state of Idaho in Health and Welfare—definitely not in an academic or home economics field. But retirement opened my mind up to possibilities I hadn’t imagined before. Well, why not? I was challenged by the course and studied for hours each week between classes. It involved math and chemistry and measurements – not my best things. More than once, I thought about dropping out. My father fell ill between the 5th and 6th classes and died soon after that. I had an open book final to finish but it sat on a desk during the travel and activities surrounding my father’s memorial service and luncheon in celebration of his life in northern Idaho. 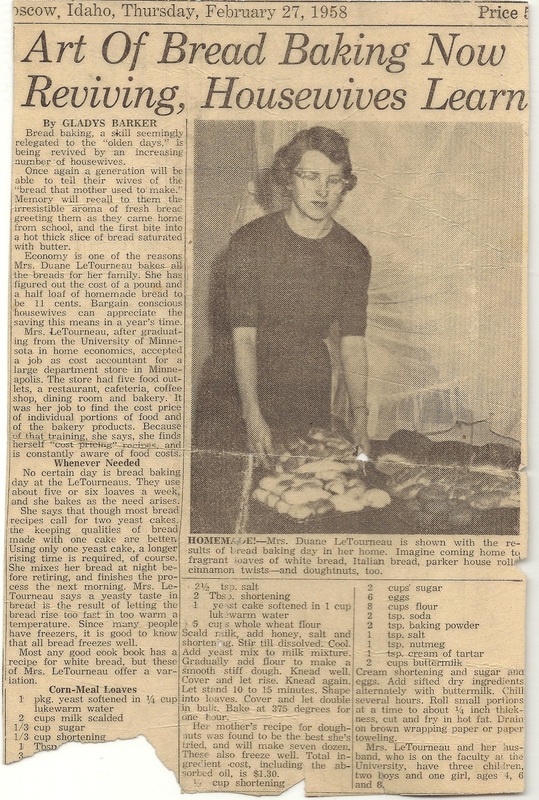 But… my mother (who died in 2011) had a degree in Home Economics and a lifetime of efficient and productive home making skills, raising children, cooking and baking, and contributing immensely to the community. She was an active member of the Moscow Home Economists for many years until she was physically unable to attend. My father was an agricultural biochemist among his many other achievements. As I studied the class material I realized that the science of food safety and preservation combined a lot of my parents’ extraordinary interests and abilities. I learned enough about food safety to work a food thermometer and follow canning, dehydrating and freezing food products. That’s what they call preserved food – “products.” I also learned enough about microbes, botulism, mold and other scary toxins to be very, very careful in the kitchen now. I don’t know how the UI Extension staff manages to pull off the classes and labs so neatly. Classes require a great deal of planning, purchasing, travel, preparation and clean up. Even though the labs seem chaotic, they end up in neat tidy jars and containers of “product.” I met great people and learned more than I thought there was to learn and now I know how much I don’t know. It’s been a great experience. Here’s to you, Mom and Dad! Just for the record, I did not appreciate homemade bread back then. The neighbor kids got to eat store bought bread and I thought that was a big deal. Sorry, Mom. This entry was posted in Food, Reflections. Bookmark the permalink.